a modest brief from London Underground, with equally modest aspirations: create something decorative to cover up the empty advertising spaces on the Underground. The Tate by Tube poster, which has justly become famous, is something of a milestone in poster advertising on the London Underground. 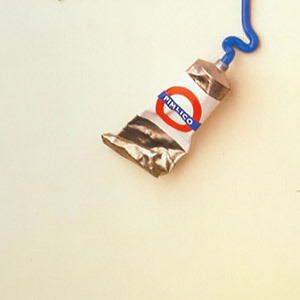 David Hughes, then creative director of The Fine White Line, worked on the poster with designers David Booth and Siobhan Noonan and remembers it as, ‘a modest brief from London Underground, with equally modest aspirations: create something decorative to cover up the empty advertising spaces on the Underground’. The larger than life-size model was made by Malcolm Fowler and Nancy Fouts of Shirt Sleeve Studio. A favourite with CDP as much as The Fine White Line, Shirt Sleeve were responsible for a fair few models used in CDPs long-running Benson & Hedges campaign. 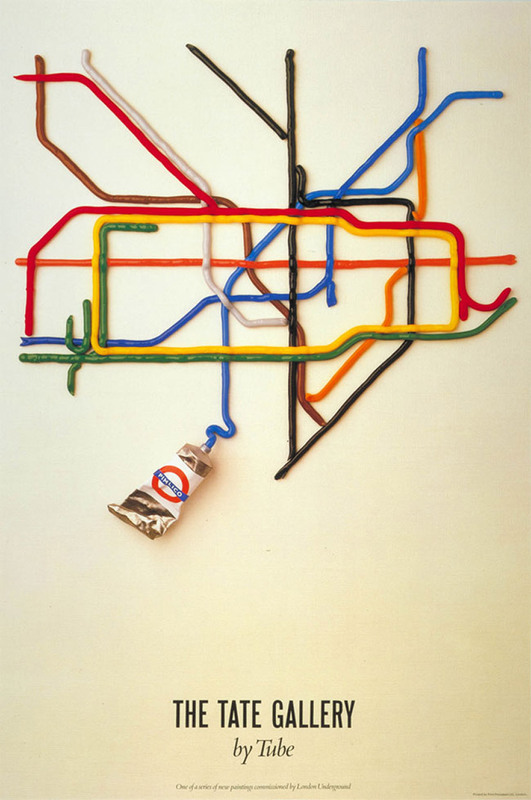 Shortly after its release the Tate by Tube poster was nominated as one of the ten best posters in the world. It also earned a place in Campaign’s 100 posters of the 20th century. The Tate by Tube poster is still a best seller in The London Transport Museum and you can also get it from Amazon where it comes suitably packaged in a (cardboard) tube.